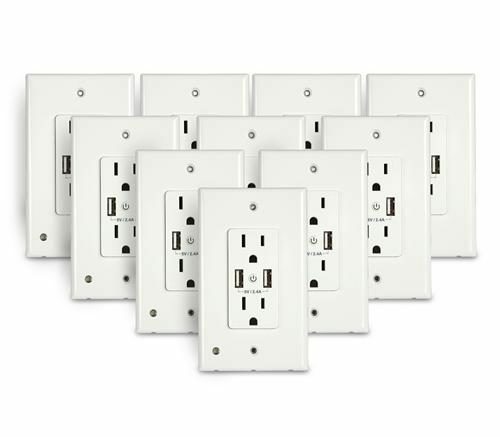 That’s a lot to ask from a piece of consumer gear but our smart outlet delivers. I’ve been thoroughly impressed. So much so that I’ve started to use them in other ways. For example, I turned one into a smart extension cord, using only parts from a local home store. I’ll tell you how I did it, too. Why would you want a smart extension cord? There are all sorts of reasons. Maybe you want the USB ports closer to you. Maybe you are moving things around and still want to control them through Alexa. Maybe you’re going to use it in the garage for a temporary project. This technique gives you all the smart home functionality you need in a portable and temporary installation. 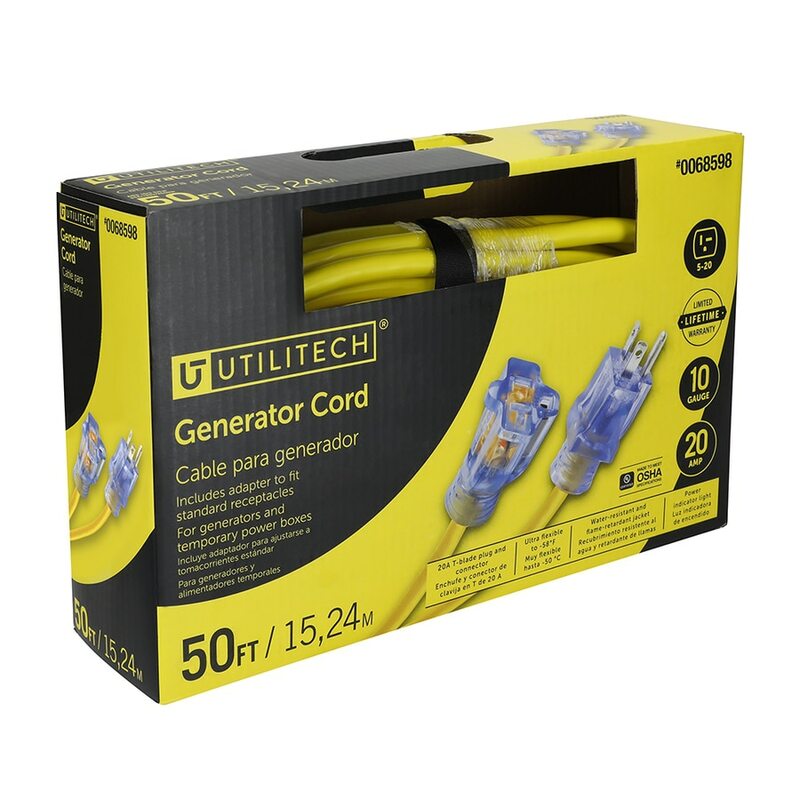 Lowes has this 20-amp-rated cord at their site. It’s pretty darn expensive though. If you want to be safe you’ll need something serious, or you’ll have to be careful with what you plug in. If you’re not going to be running a large refrigerator or electric stove you can probably get away with one rated for 13 or 15 amps. However, it’s up to you and I would be real careful here. Another option is to make the cord yourself with Romex and a plug. 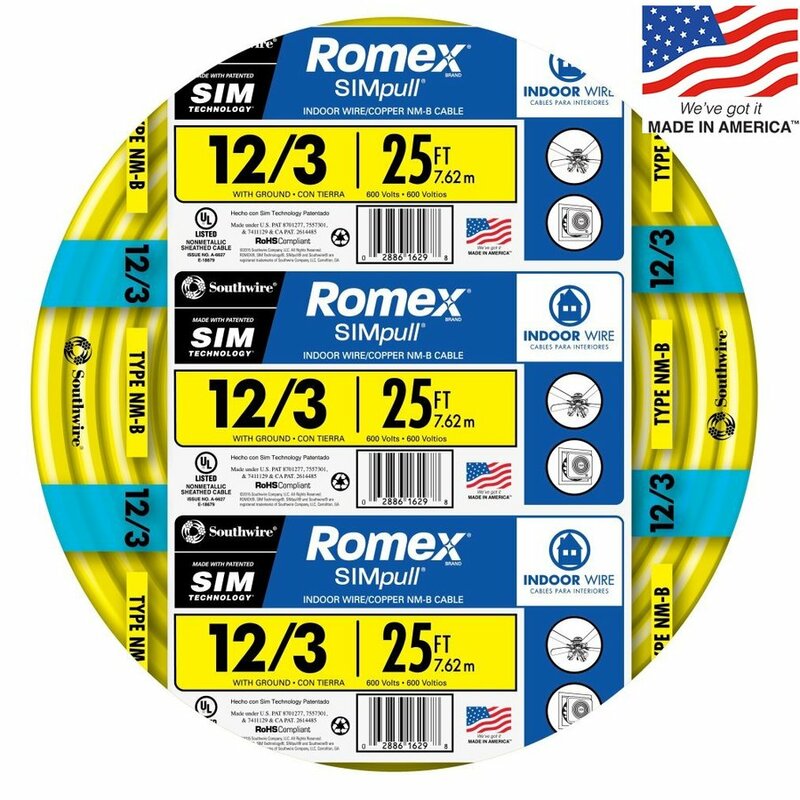 Romex is a premade cable designed for in-wall wiring. You want to look for some where the first number is 12 or lower and the second number is a 3. This means it will handle 20 amps. It’s quite a bit cheaper than a premade cord. You’ll also need a plug. 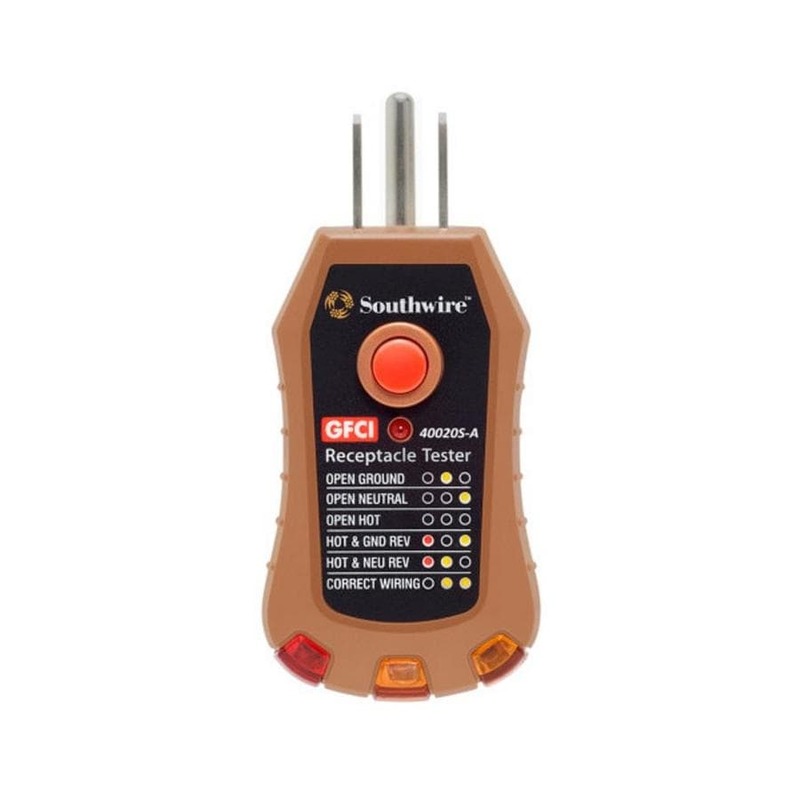 This one is only rated for 15 amps but you can find them rated higher if you need. Using Romex and your own plug can save you money but the build is a little harder. 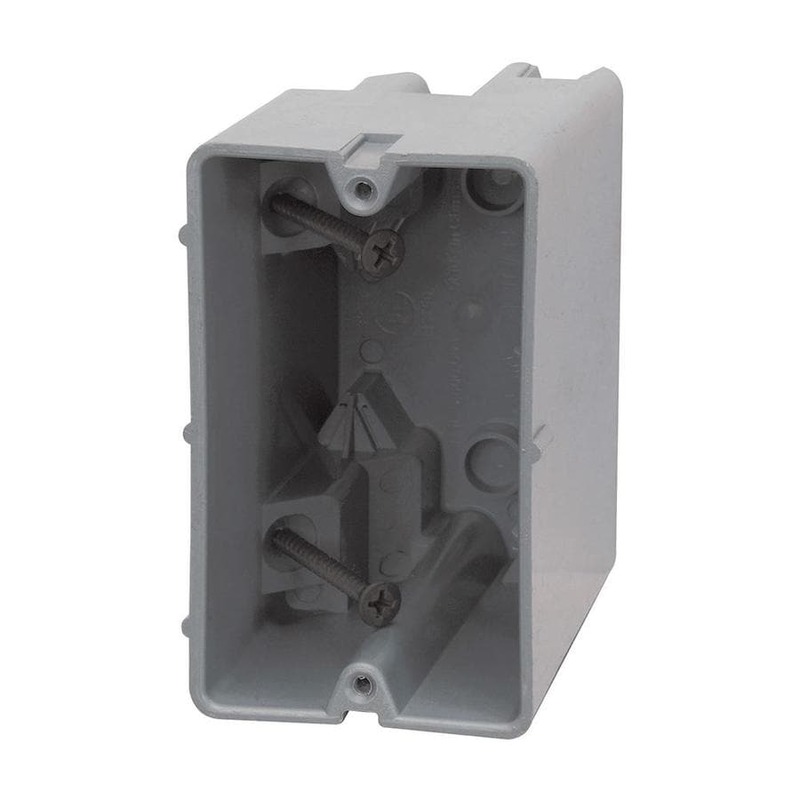 To be safe the outlet will have to be in a junction box. Pretty much any one will do. This one is nice and solid and not too expensive. Others are cheaper but also they are bright blue. So, for between $10 and $50 depending on what you buy, you have a workable setup. Now all you have to do is wire it. You really should have an outlet tester. It doesn’t have to be this one. You can find them anywhere fairly inexpensively. You should have one even if you don’t do this project because it’s a good thing to have. Obviously, don’t do any of this when anything is plugged in! Theso you’ll know what you’re doing. If they’re not, you kind of have to guess. If you have a multimeter you can check the continuity between the wires and the plug and figure it out. If not, that’s where the outlet tester comes in. 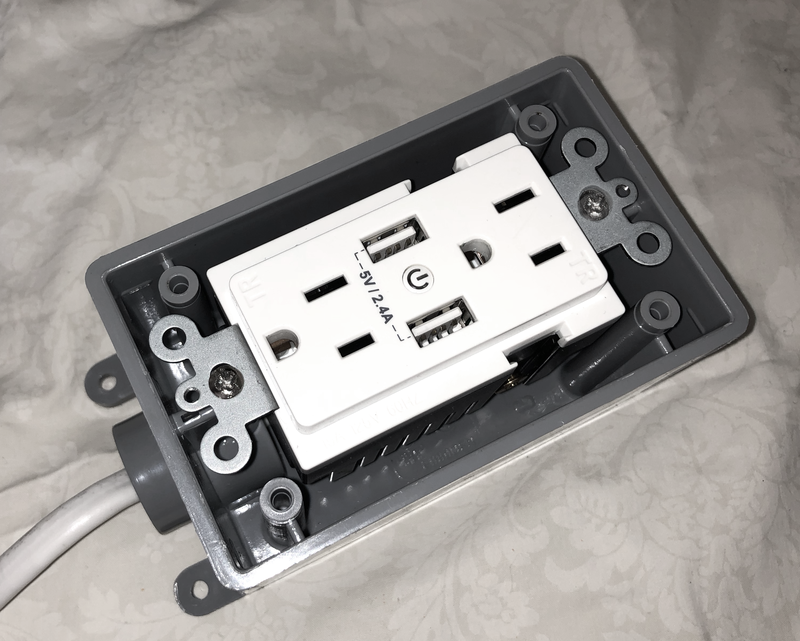 Once everything is all connected, put the front plate on the junction box and screw it down. Put the outlet tester in one outlet and plug in the cord. The lights will tell you if you have done it right. If you haven’t, swap the cords around until it’s right. 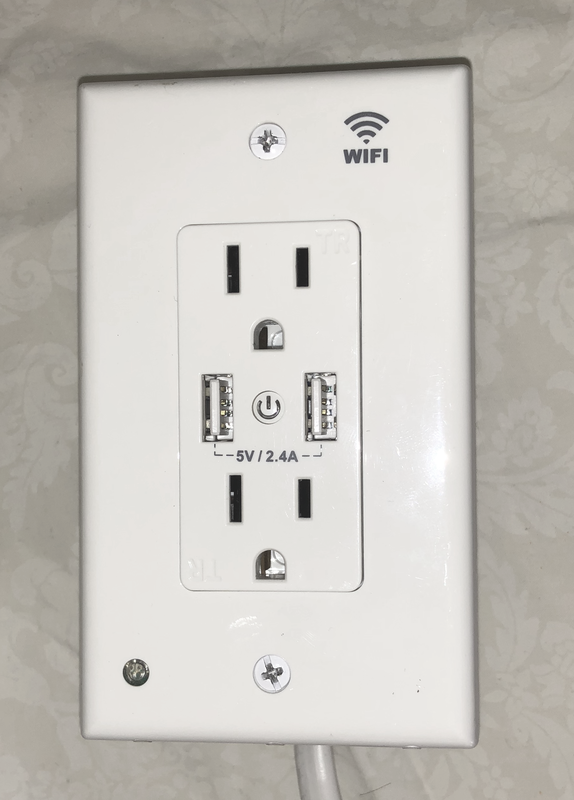 Note: You must push the ON/OFF switch on the outlet when you connect it or it won’t test properly. This is the method I used so I have some pictures. 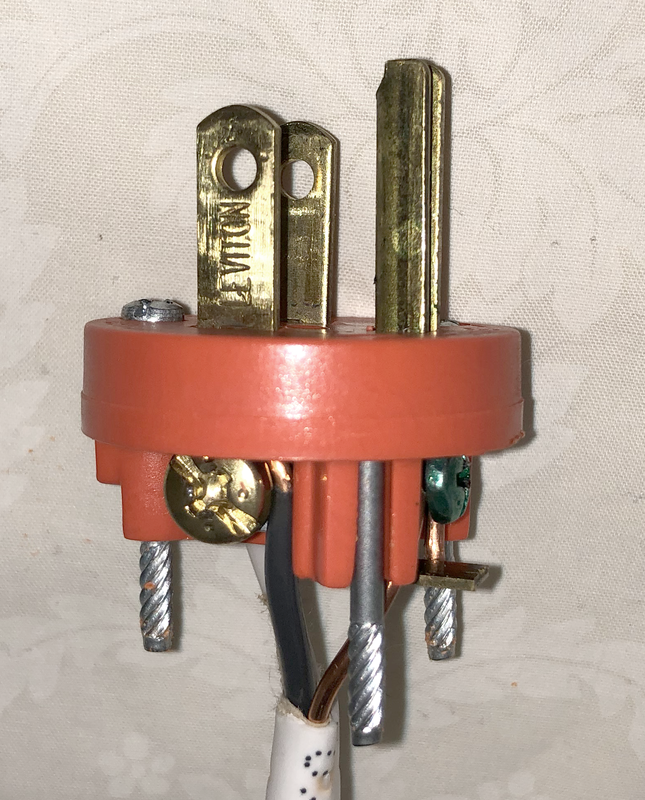 The black wire goes to the smaller of the two prongs, the white wire to the larger one, and the bare wire goes to the ground. Connect them carefully and tightly and button up the plug. 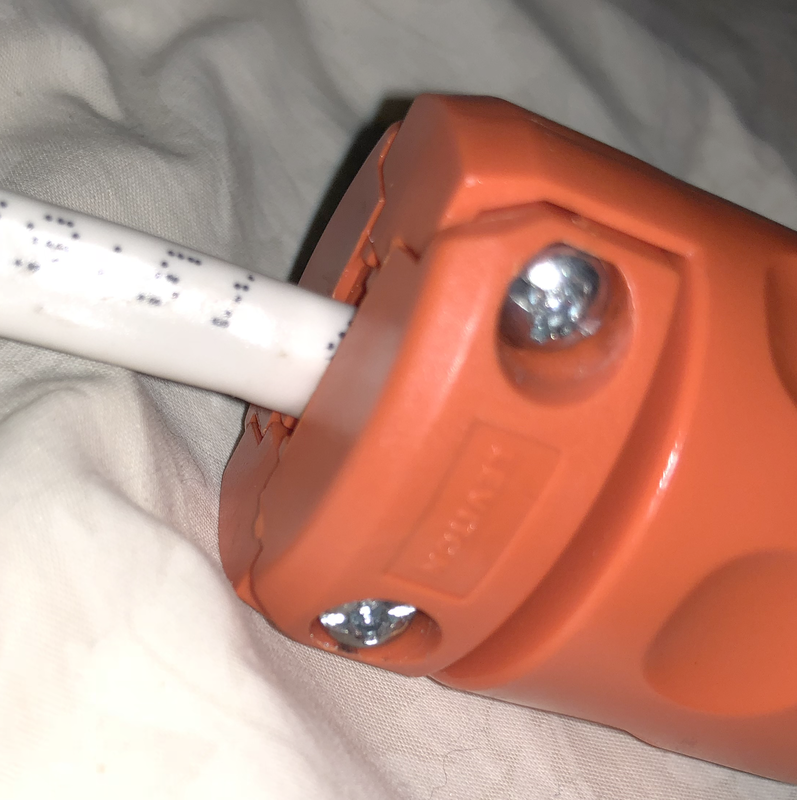 Note that this isn’t really an outdoor solution unless you plan on shrink wrapping or otherwise weatherproofing the back of the plug. Water could easily get in. 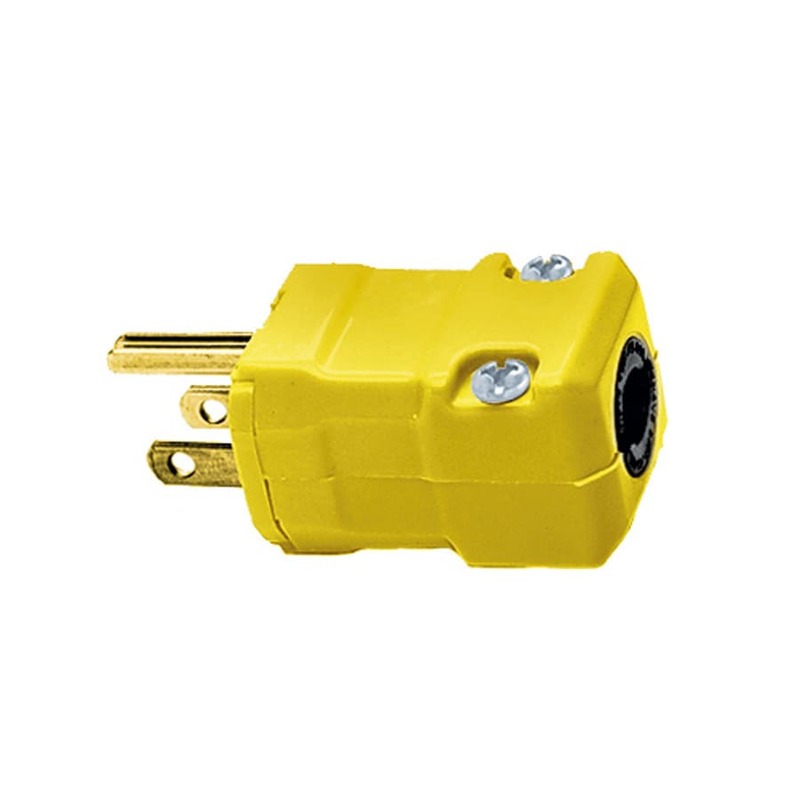 Wire up the outlet like it shows in the instructions and screw the outlet into the junction box. Take one last look to see that there are no loose wires in there. Then close it up. Again remember this is not a waterproof solution . 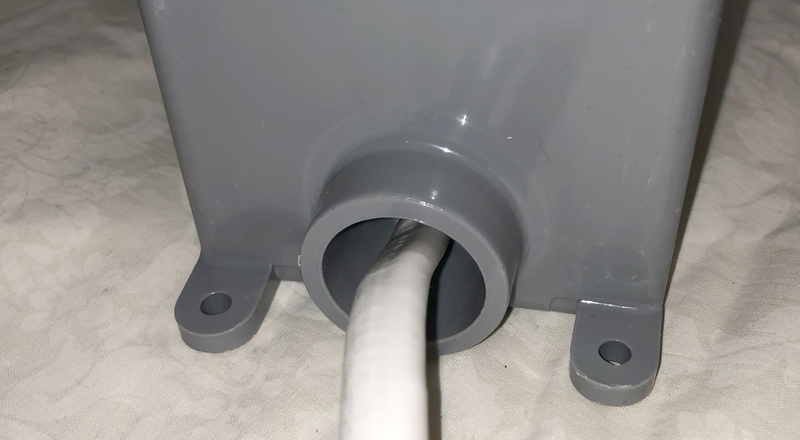 If you want to clean it up a little you can get a rubber bushing for the hole in the junction box which will make things a bit more secure. Test the outlet by plugging it in. Note: Once again, the outlet won’t work until you press the ON/OFF switch. Have you done something interesting or new with our smart outlets? Leave a comment below and I’ll be happy to feature your custom build! Should you worry about your smart home being hacked?